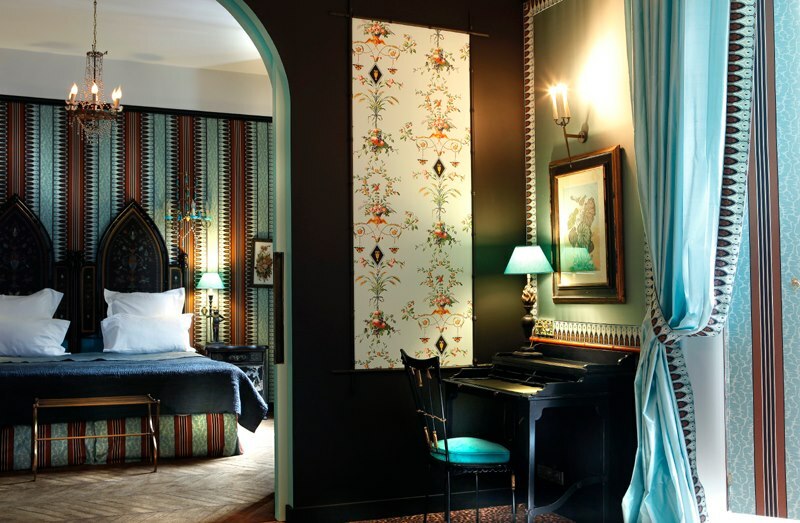 Interiors: A Madeleine Castaing-Inspired Suite at the Saint James Paris — Sukio Design Co. While skimming Pinterest, I became so enamoured by this little vignette—its lovely writing desk, leopard print rug, and swooping silk drapes—that I decided to investigate further. I soon discovered that it's actually a suite at the Saint James Paris, one inspired by legendary French designer Madeleine Castaing. Another Google search and the pieces all fit together. One look at Madeleine's work and you'll spot the similarities. 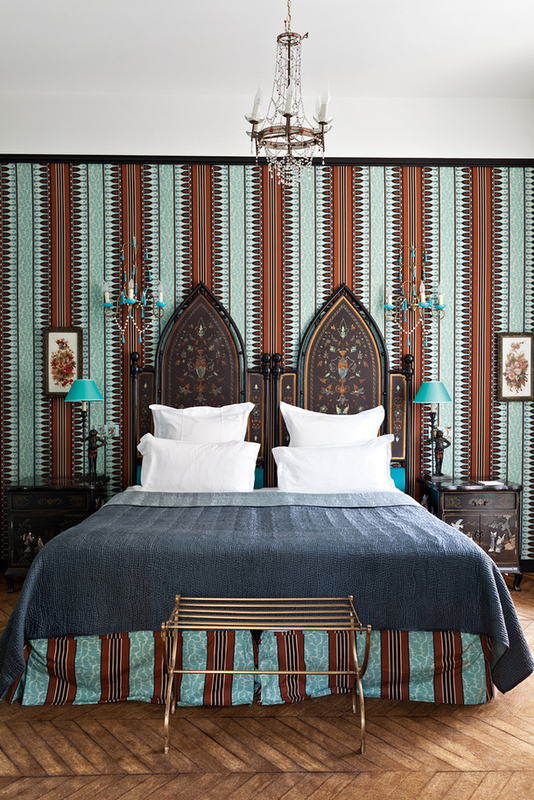 Colors, patterns, and textures found in her country home (shown above) are recast into a glamorous, multi-room getaway at the Saint James.